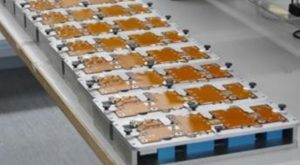 CIRTEM, equipment manufacturer specialized in power electronics, handles the entire product design process: from expertise upstream and system engineering, to industrial fabrication and system maintenance. 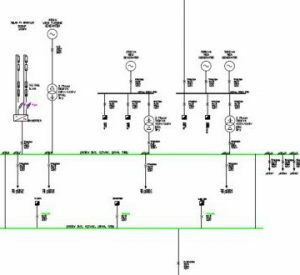 Research, development and manufacturing are based on the same site to simplify equipment production as well asto ensure feedback is delivered to engineering design offices. Cirtem engineers and experts provide you with their system engineering skills combined with extensive experience in innovative approaches. We can advise you on how to ensure global optimization of your project architecture. 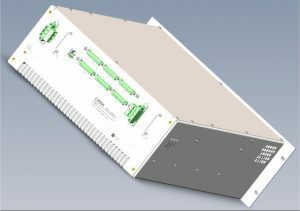 Decreasing the number of converters to increase reliability. Enriching certain equipment functions in order to eliminate others. To provide solutions to your needs, our teams deliver customized assistance to find a technically efficient, distinctive solution. In fact, this phase allows you to make the best choice of technical solutions for the equipment. We provide assistance writing your detailed specifications to ensure they really satisfy your needs depending on your requirements and your flexibility. Our development process is ISO 9001 : 2015 certified. Once this phase has been completed, your equipment is ready to be industrialized..
With industrialization of your equipment, fully compliant equipment can be tested and manufactured using a relevant process. We adapt the manufacturing method to quantity, price and automation requirements. Supply chain : our buyers choose optimal supply sources. Delivery : the appropriate logistics system is set up. Hence, industrialization optimizes prices, the production rate, testing,and delivery of your equipment. 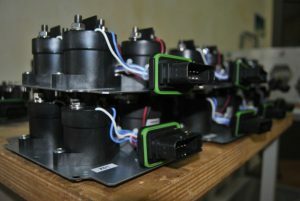 The CIRTEM Production Department manufactures both small and middle sized series as well as prototypes and unique parts. This department works closely with the purchasing department and the warehouse which is managed by our ERP system. Our experienced technicians work with tools that are controlled and calibrated on a regular basis, to test and assemble the equipment. A high level of traceability is guaranteed thanks to identification labels on each sub-set. Bar code tracking connected to the ERP makes it easier to handle equipment in After Sales Service and maintenance. 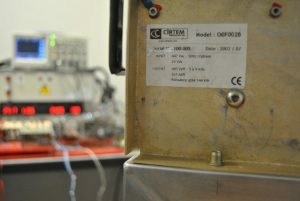 Maintenance in Operational Condition is an after-sales service technique used by CIRTEM to guarantee provision of equipment sub-sets up to 30 years if needed. In fact, this approach controls and remedies obsolescence of equipment components by re-design, changing the reference, or stocking of the obsolescent components. We put our production department at your disposal through third party contract manufacturing of power subsets. In fact, we provide specialized sub-contracting with high added value, made in France, and in compliance with ISO 9001:2015. We offer a critical perspective on the design, and if needed, we deliver well-argued, relevant optimization approaches. We ensure conformity to the state-of-the-art power electronics. We provide our expertise and our supply chains including power components, winding, copper bar, laminated busbars, sheet metal, and machining, and we develop test means for series production. Whether for distribution and interconnection equipment, for converters or small systems, we have the expertise and skills to manage your project.